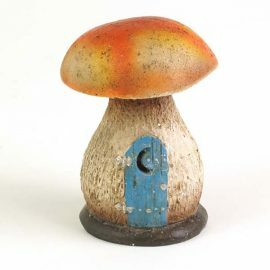 Size 10cm high – 12cm long. 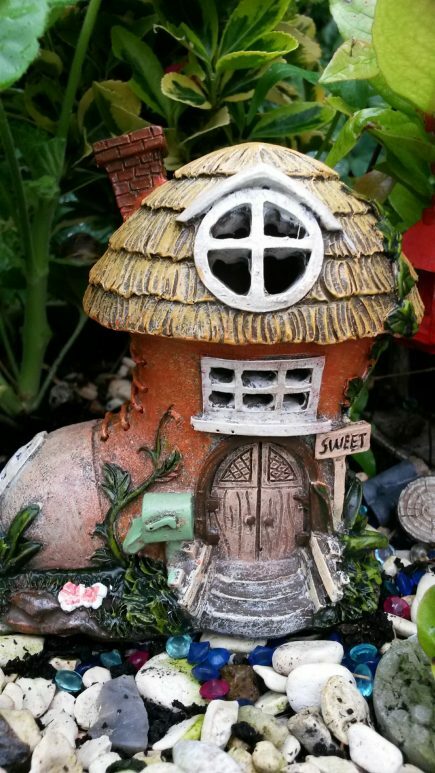 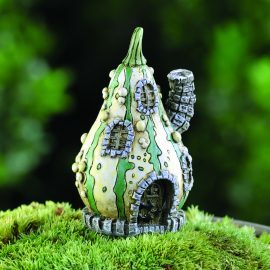 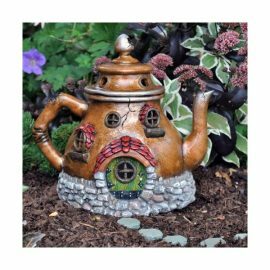 This cute pear shape fairy house is green. 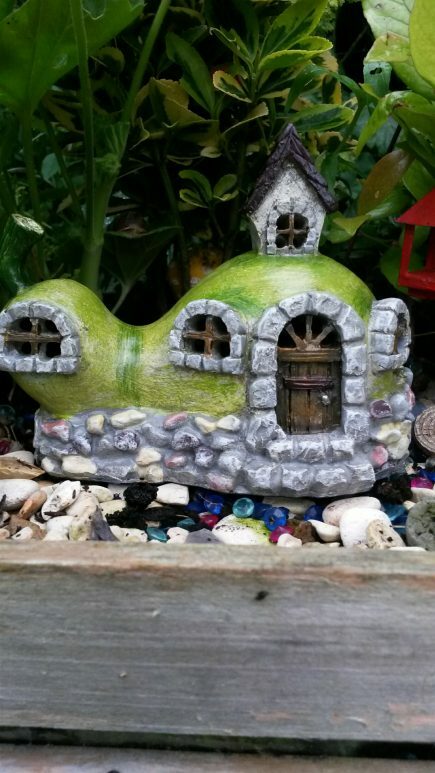 It has a stone effect wall around it and the windows. 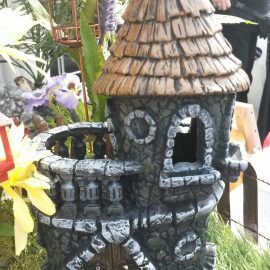 There are 4 windows in the front and 1 in the back.